Company: The Bon Ami Co. Text: Hasn't scratched yet!!! The Best Scouring Soap Made (12 yrs on the mkt.). 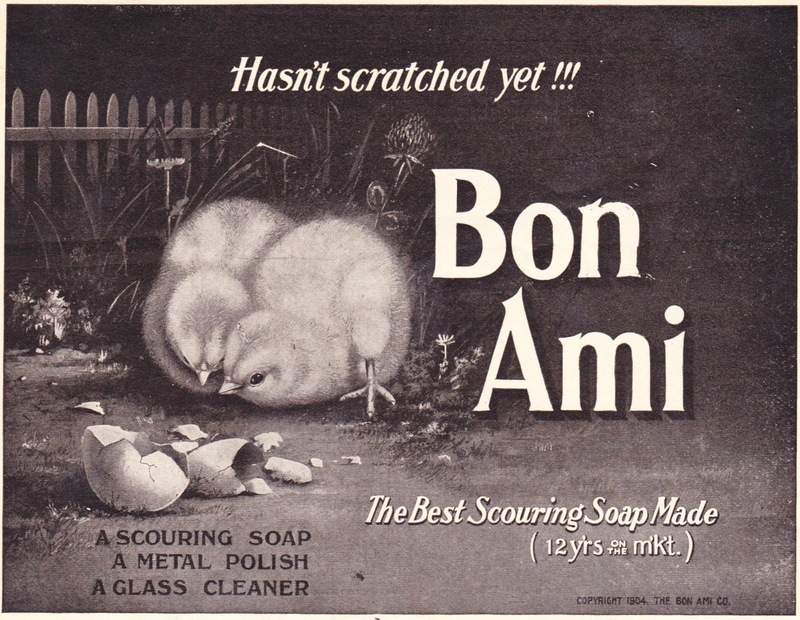 A scouring soap. A metal polish. A glass cleaner.